Carpets are clean in under an hour! Our team of professionals have years of experience in cleaning. 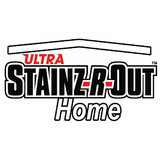 Stainz-R-Out is scientifically formulated to lift any stain from any surface. Stainz-R-Out uses the organic cleaning power of banana oil to remove your worst stains... Red wine spills, pet messes, ink, grass stains, coffee, food stains, makeup, grease, even paint! Citrus Cleaning, A better way to cleanWhy Citrus? Our citrus solvent cleaner is a healthier, more effective way to clean and protect your carpet and furniture. It has the ability to maintain the appearance of carpet and furniture, and at the same time minimize allergens in the carpet. The Citrus-Clean, when combined with an antimicrobial, has provided relief from allergy symptoms for many of our clients. Mildew problems can be reduced, and reactions to dust mite residue will be lessened. You take your fine clothes to the dry cleaner to avoid damage caused by soap and water. We use Citrus-Clean for the same reason. The citrus is very effective against grease, soils, pet stains, and fights yellowing and oxidation that can dull your carpet. Citrus-Clean cleans and treats you carpet without leaving a sticky, soapy, or chemical residue. If you think soap or chemicals are good for your carpet, the next time you shampoo your hair, don’t rinse and see how well it works!! In and out has served the East Coast area in the last 5 years with excellence and strive everyday to build a more reputable name for itself by satisfying customers and building a family like relationship with our customers. 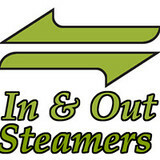 In and out was first founded by the Yarkony family in 2010. The vision of the family was to prove to cusomers that you can do a fast and high quality job in half the time and still having your customers satisfied at the same time. We do not do the bait and switch technique on our customers, instead we offer all options upfront- FACE TO FACE or on THE PHONE whatever suits the costumers needs. In and Out offers a wide range of services such as: Carpet Cleaning, Dryer Vent cleaning, Upholstery cleaning, Rug Cleaning & Mattress cleaning. We use Truckmounted Equipment with 600-700 pounds per square inch with the right Carpet cleaning supplies to bring your carpet back to life! 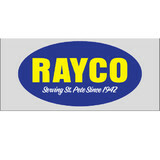 We Service the whole Tampa Bay Metro Area at about a 40 mile radius. CALL FOR A FREE ESTIMATE TODAY! Hello, my name is Joe Staltare and I am the owner of Complete Care Systems. I have over 20 years experience in residential and commercial carpet and floor care. We can take care of all your carpet, upholstery, tile, grout and wood floor cleaning needs. As a business owner I take pride in every service I offer. Your satisfaction is guaranteed. My wife Tricia, runs the office so you will always get a pleasant voice on the phone willing to answer your questions and schedule your service or estimate. Harper’s Carpet Cleaning has been serving Pasco and Hillsborough Counties including the cities of Wesley Chapel & Zephyrhills for over 35 years. We are dedicated to our clients service before, during and after every cleaning. We feel our clean-cut, courteous employees are our greatest assets. Our technicians are certified and very experienced to perform whatever procedures necessary to achieve spectacular results to any cleaning request you may desire! We literally have HUNDREDS of customers that we’ve serviced for many years. If you require a testimonial or a reference, please do not hesitate to ask for one! We hope that after YOU become a client that you will also refer your friends! With MR. CARPET MAN, your carpets and furniture will experience a new level of clean. Our attention to detail and unsurpassed quality has made us the first and only choice for businesses and homes throughout the Tampa Bay Area. We specialize in carpet, tile, and upholstery cleaning and reconditiong. Our well-trained and experienced personnel use proven methods and techniques that achieve remarkable results. All of our hard working crew members arrive on time, are extremely courteous, and respect the privacy of each customer. 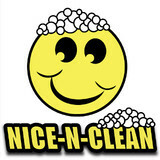 Our crew members are always clean and well-spoken. We only hire the best, and every employee passes drug and criminal background checks because the safety of you and your family is of the highest importance to us. 1-800-DRY-ME-OUT is the premier provider of flood cleanup, removal and restoration services in Tampa, FL and all the surrounding areas. We believe in providing quality, courteous and professional water cleanup and water removal services to ultimately return your home or business back to its pre-loss condition – fast. We are equipped and staffed to handle any size of problem, whether you’re a victim of storm or hurricane damage or you’ve discovered a broken or leaky pipe, a sewer line break, a sink or toilet overflow, or a malfunctioning appliance like a water heater, washing machine, dishwasher or refrigerator in your home. We can arrive on the scene within minutes, and all it takes is one phone call. We can handle any need that you have from start to finish. The first thing we do in most cases is make sure the source of the flood water is contained and that you and your contents are safe, then we perform complete water removal and water cleanup. We use state-of-the-art equipment for fast and complete structural drying, dehumidification and cleanup, then work to make sure your contents are restored to previous condition. Then we take care of any needed water restoration and provide full water damage repair services. Brian Dahlberg is very pleased to announce that he is in the whole process of opening his 3rd carwash station in Tampa, Florida. He entered the carwash small business just 4 years in the past, but his business enterprise has taken the earth by storm. High Performance Floor, Carpet & Tile Cleaning Specialist In Largo Platinum Floor Care LLC proudly serves residential and commercial customers in Largo, Seminole and throughout Pinellas County. With over 10 years of experience in the industry, Andrew Lindelof started Platinum Floor Care to deliver unsurpassed customer service and excellent results every time. Our ultimate goal is the satisfaction of our clients. What should I look for in a local Saint Petersburg carpet cleaner? Not all Saint Petersburg carpet cleaning companies use the same methods, but there are a few common things that they should do to for a quality job. Make sure they do an analysis on the area you need cleaned and recommend the best course of action — are there large stains or high-traffic areas that need extra treatment or attention? Also, make sure they provide quick drying times so that you can be back in your home faster; that means hours, not days! A good carpet cleaning service in Saint Petersburg, FL should move furniture (within reason) and put it back in place when they are all done; don't let them charge extra to do this. Another important factor to look out for is whether or not the carpet cleaners use chemicals, and if so, they should be asthma- and allergy-friendly. This is especially important for households that have children or pets. Lots of Saint Petersburg carpet cleaning services also clean rugs. Rug cleaning can involve anything from a simple wash to complete re-weaving or foundation work. Make sure the local rug cleaner you choose has experience with the types of rugs you need serviced, especially if they are hand-woven or Oriental rugs. What should I look for in a local Saint Petersburg upholstery cleaner? Upholstery comes in many more varieties than carpet and rugs, thus needs cleaning tailored to each specific blend. Even if you don’t know what material your sofa or chair is made with, a good upholstery cleaning service in Saint Petersburg, FL will be able to identify it and treat it appropriately. Some textiles require dry cleaning and that can’t be done in home, so if that’s the case, check with the upholstery cleaner and see if they offer pickup and drop off services. Leather cleaning is a bit different and often involves more restoration and conditioning than actual cleaning. Make sure the Saint Petersburg furniture cleaning service specializes in leather if you are considering them for the job. Find Saint Petersburg upholstery and carpet cleaning services on Houzz. Narrow your search in the Professionals section of the website to local carpet cleaners in Saint Petersburg, FL and read reviews and ratings to find one that fits your needs.